We have been presented with an important and exciting opportunity. Dr Brian Catchpole from the Royal College of Veterinary Surgeons has contacted us regarding a research project he would like to conduct on Addison’s disease in dogs and needs our help. A grant of £25,000, has already been awarded from The Kennel Club Charitable Trust to allow a veterinary graduate to undertake research training. However, we need to raise an additional £5,000 to support the laboratory research costs to analyse the samples. The grant was given on the proviso that the JBLC on behalf of all the Bearded Collie Clubs raise the other £5,000. And we have a deadline : 30th June 2016. All of the Breed Clubs consider this work so important they have donated the first £1000 towards this research project. And that’s where you come in. We need help from the Bearded Collie community, nationally and internationally, owners, breeders, dog lovers, vets; in fact anyone who is passionate about getting the right treatments and diagnosis in place quickly for dogs that may be suffering from Autoimmune diseases. It’s important our Vets to have the knowledge and tests at their fingertips . We know any dog can be affected. Some dog breeds, including Bearded Collies, are more susceptible than others. 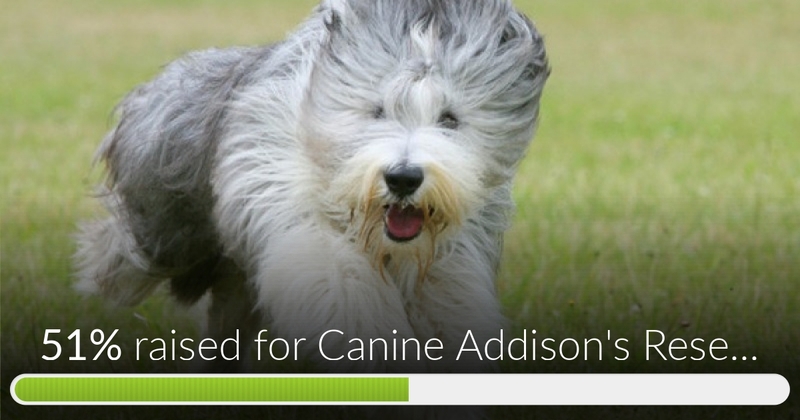 Once Addison's is correctly diagnosed, a properly treated dog can live a normal active life. Addison’s disease (hypoadrenocorticism) is an autoimmune condition that occurs in dogs when the immune system attacks and destroys the adrenal gland. This leads to a deficiency of steroid hormones that are important for metabolism and regulating electrolyte levels in the blood. The symptoms can be very general which makes it hard to diagnose quickly. Please help us so we can help them. All donations will be gratefully received, as we work together to find a solution to this disease. If you would like to donate with cash or by cheque, please contact me for more details. We were thrilled to be contacted by the UK Standard Poodle Club, who responded to our appeal with the extremely generous donation of £1000 from their research fund. Our grateful thanks go to their committee and members for their support in this important work. Well what can I say other than THANK YOU!! How wonderful that we have not only reached but exceeded our target in less than 14 days. Such an achievement and a true reflection of everyone working together to achieve our goal. Please continue to share and donate; any money received over and above the required £5200 will be used for research into auto-immune disease in dogs in general. The JBLC will continue to provide an update on any financially supported research. Many thanks to everyone that has given their support and shared the link to keep the momentum going. 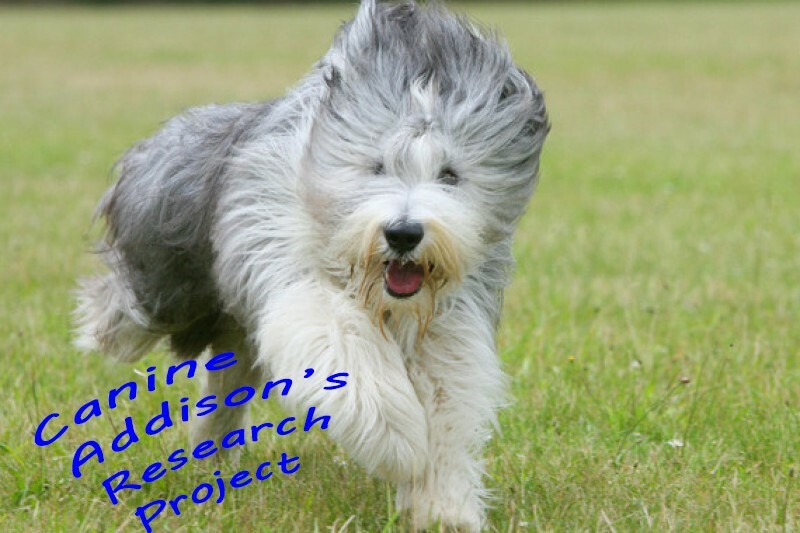 I am so excited to share that the initiative to raise funds for the Canine Addison's Research Project has reached 51% of its goal in only 4 days! Thanks to everyone that has donated so far and for the over 250 people who have shared the link on Facebook. We have had nearly 2500 visits to the page so far and if all of these visitors donated just one pound we would almost be at target - no donation is too small! whether by donating to the fund or sharing to others who you think might be interested will help boost the campaign. Please continue to like and share the link in the days ahead to ensure that we reach our target by 30th June. Thanks to everyone who has shared, liked and most importantly donated today. We are 41% towards our target - wouldn't it be great if we could get to 50% by the end of day? Good luck and may a cure come soon!